For 16 Saturdays we provide fresh food in the heart of the mall, along with toddler/young children activities and live music. Our vendors grow/operate with in 70 miles of the market and look forward to interacting with our customers each winter. 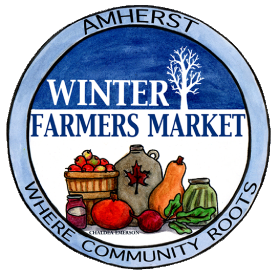 All are welcome to enjoy this community market in a convenient location, with ample free parking.